Hi Hart Beat. Yesterday was a big day in music with this years Austin 100 being released by NPR Music. For those of you not familiar with the series it’s a curated list of the 100 new artists and their songs to be playing at the SXSW concert in Austin. The list is selected by the NPR Music editor Stephen Thompson and this year I have to say, he did an exceptional job. Not only is ALL of the music stellar but the onsite experience is also amazing. 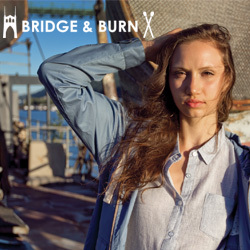 The site is responsive and let’s you listen to all the music in the curated order. Each time a new song comes up a page will display with the name of the band, where they’re from and a little bit about them. You can also pause and start the song over super easily. In addition there’s a handy little favorite button that let’s you save your favorites. These favorited songs can then be listened to exclusively, like making an onsite playlist. Even more amazing the site remembers your favorites, what you’ve listened to and where you’ve left off without having to create an account. Needless to say, I’m obsessed. I’m going to be sharing my top picks from the list here on Hart Beat and will be giving another review on The V&V as soon as I’ve gotten through all the songs multiple times. Here’s my first pick, the amazing “Archie, Marry Me” by the Toronto based Alvvays. If you’re interested in going through the whole list you can download via the website or listen on Spotify. Happy music listening, Hart Beat! Hey Hart Beat! Surprise from paradise! My mom and I last Wednesday luckily took our annual winter peace out to the sunny island of Antigua for some well needed rest and relaxation. Thelma and Louis at it again, as my dad would say. This has been a great year for music already and I can’t wait to share the newest song with you. For those of you that read up on The Victors & Vanquished this might be a repost but it’s so Hart Beat appropriate that I couldn’t not tell you guys about it too. Last week our girl Rihanna released a new acoustic song in which she collaborated with none other than Kanye West AND Paul McCartney. This is such a crazy and great world! I love the new song and have been listening it to on repeat on the train. It’s not available on Spotify yet but it’s only a quick purchase on iTunes (or you can just listen to it here). I love how much it sounds so raw and different from Rihanna’s usual stuff. P.S. If you like this song then you’ll probably like the Paul McCartney and Kanye collaboration “Only One” that came out on New Years Eve this year. I’m really hoping that this means a Kanye and McCartney album is in the works. Also, I fan girled like a creep and found this really cool (and somewhat sketchy) behind the scenes look at the official music video. I want to go to there. Hi Hart Beat. I can’t believe this is the first time that I’m writing to you about one of my favorite things to happen this summer. 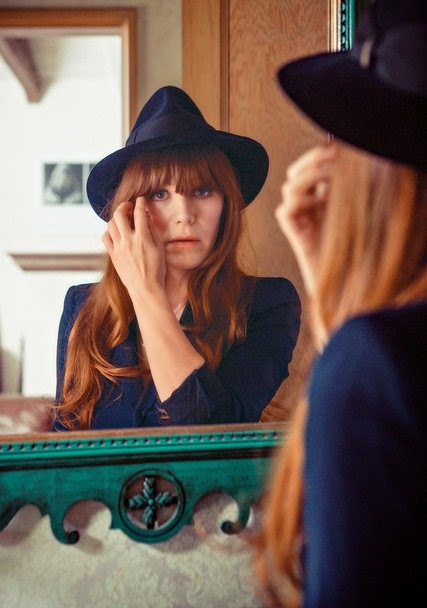 At the end of July, my favorite Jenny Lewis released her third solo studio album The Voyager. It took me a while to put aside the time to give the entire album and now that I have it’s all I can listen to. I can’t pick my favorite song to share here because I’m seriously in awe of every single one. There have been a great couple of articles reviewing the album (this Slate one here was one of the best) and I couldn’t agree more with the critical acclaim that has come with the album. If you love Jenny Lewis, Rilo Kiley or music in general I can’t recommend listening to the full album enough. This one posted here is one of the songs that I just can’t seem to get out of my head. The other night I sang myself to sleep in my head with the song. I just love this woman so much. For an amazing article about Jenny and her life read this article here from the New York Times Magazine from last month. Photo credit for the top picture goes to that article as well. 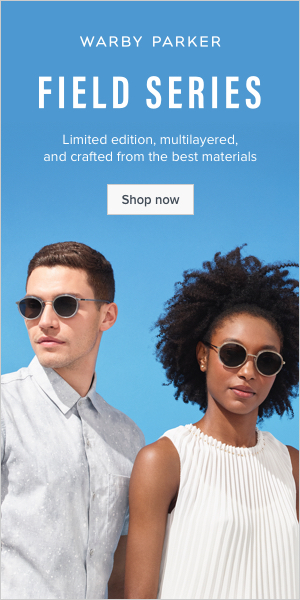 She & Him classics coming this fall!! Hi Hart Beat. This vacation in Maine I’ve been rewatching one of my favorite show’s, New Girl. Schmidt is my absolute favorite and makes me laugh so hard. As much as I find Zooey Dechanel drives me crazy sometimes I still love her. 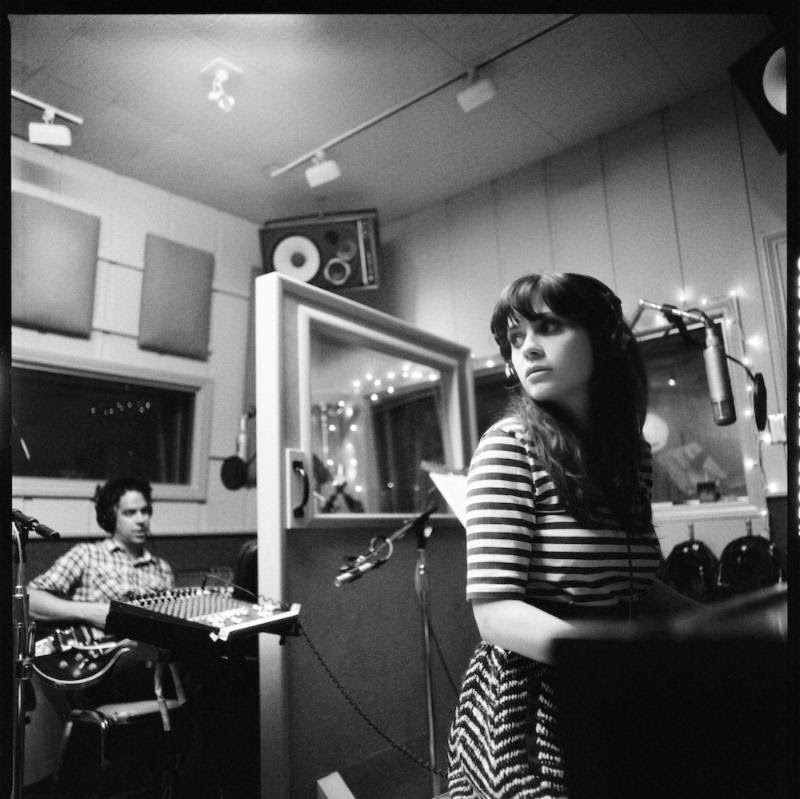 So today I was so excited to see that the amazing combination of Zooey Dechanel and M. Ward also known as She & Him is releasing a new album this fall. Ah!! I can’t wait for fall, Hart Beat!! Oh Hart Beat. You know that feeling when you meet someone and you just can’t get enough of them? You want to see them in the morning, you text them all day and then when you see them it’s just rainbows and cupcakes over and over again. Well, tonight that feeling will come to you via Hart Beat and via the amazing artist Shakey Graves. Unfortunetly, Shakey Graves is another one of those artists who has not made the way to Spotify. This really bums me out because all I want to do on my morning commute is listen to his amazing voice and obsessive beat. Hey Mr. Rose-Garcia, help a girl out and put some tracks on there please? 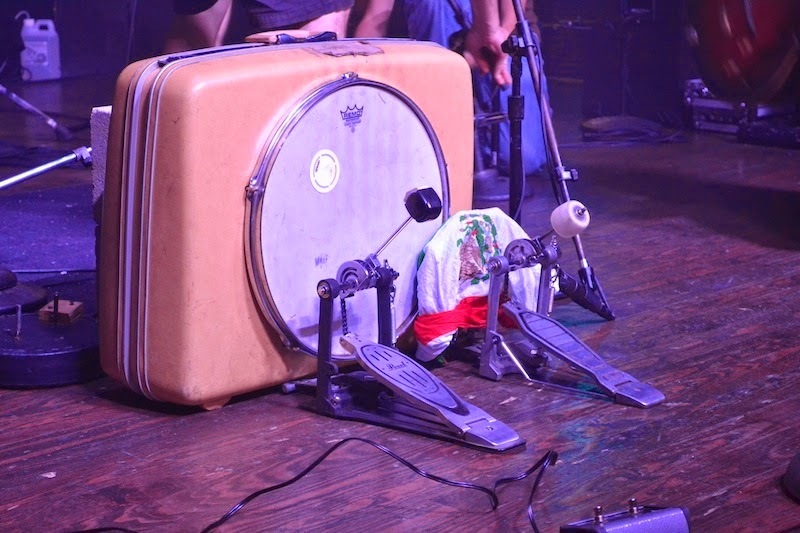 I hope you like Shakey Graves as much as I do and give these two tracks a listen. If you want more all you have to do is go to youtube and search a way. There are so many amazing live songs that I had a hard time picking ones to put here. P.S. You think Alejandro looks familair. Does sometime along the lines of The Swede sound familiar. Yup, that’s right. Alejandro played Julie Taylors older (swedish?) lover on Friday Night Lights once upon a time. You’re welcome internet. As if I didn’t love WNYC enough, tonight I found out that my favorite Jenny Lewis recorded a few songs live on “The Soundcheck.” UM WHAT. Jenny, why are you doing this to me. According to the episode Jenny has a new solo album coming out this June. This weekend she’ll be playing at Governor’s Ball in New York. Side note, I almost bought tickets just to see her in concert.. Glad I didn’t but sad I won’t see Jenny. I am so jealous of my roommate who works at Refinery29 saw her at the office today for a photo shoot. No big. 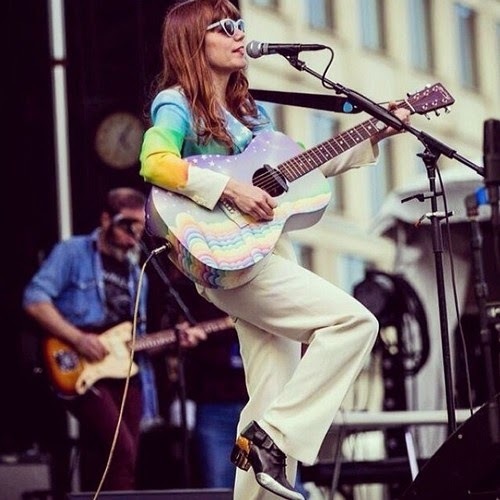 This fall HBO’s Girls premiered a new Jenny Lewis song, “Completely Not Me” (previously featured on Hart Beat) and I’ve been dying to know if this meant a new album. I am so glad to hear that the rumors are true and The Voyager will be gracing us with it’s presence this July. Thank you so much to WNYC and “The Soundcheck” for brining us this amazing live session and interview about her upcoming album. Uou can listen bellow to Jenny singing live “Just One of the Guys,” “Rise Up With Fists”(one of my favorite songs) and “The Voyager” or just listen to one of her new songs via the youtube clip. Happy listening, Hart Beat.